On November 24, 2009, the U.S. Consumer Product Safety Commission (CPSC) announced the recall of more than 2.1 million Stork Craft drop-side cribs, including about 147,000 Stork Craft drop-side cribs with the Fisher-Price logo. The recall involves approximately 1,213,000 units distributed in the United States and 968,000 units distributed in Canada. Parents and caregivers should immediately stop using the recalled cribs. The cribs’ drop-side plastic hardware can break, deform, or parts can become missing. In addition, the drop-side can be installed upside-down, which can result in broken or disengaged plastic parts. All of these problems can cause the drop-side to detach in one or more corners. When the drop-side detaches, it creates space between the drop-side and the crib mattress. The bodies of infants and toddlers can become entrapped in the space which can lead to suffocation. There have reportedly been 110 incidents of drop-side detachment, including 15 entrapments. Four of the entrapments resulted in suffocation: a 7-month-old in Gouverneur, N.Y.; a 7-month-old in New Iberia, La. ; a 6-month-old in Summersville, W.Va.; and a 9-month-old in Bronx, N.Y. Included in these incidents are 20 falls from cribs, with injuries ranging from concussion to bumps and bruises. The cribs involved in these incidents had plastic drop-side hardware that had broken, missing, or deformed claws, connectors, tracks, or flexible tab stops; loose or missing metal spring clips; stripped screws; and/or drop-sides installed upside-down. This recall includes Stork Craft cribs with manufacturing and distribution dates between January 1993 and October 2009, as well as Stork Craft cribs with the Fisher-Price logo that have manufacturing dates between October 1997 and December 2004. Major retailers in the United States and Canada sold the recalled cribs including BJ’s Wholesale Club, J.C. Penney, Kmart, Meijer, Sears, USA Baby, and Wal-Mart stores and online at Amazon.com, Babiesrus.com, Costco.com, Target.com, and Walmart.com from January 1993 through October 2009 for between $100 and $400. 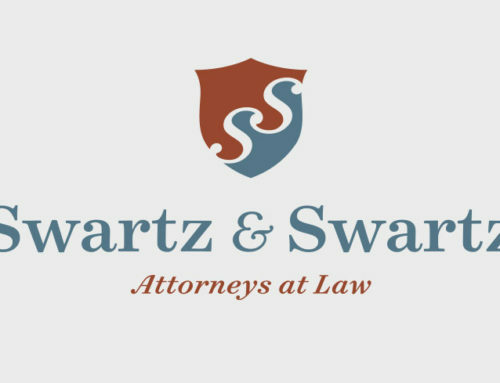 If you or a loved one has experienced a catastrophic injury due to use of a Stork Craft or Fisher Price drop-side crib, contact the Boston law office of Swartz & Swartz, P.C.. We will answer your questions and protect your legal rights. Speak with a personal injury lawyer today by calling (617) 742-1900, or toll free outside of Boston, 1-800-545-3732.